Summary: Diamond B Technology Solutions worked with Bakken Transload to implement an automated Safety Enforcement and Access program that allowed Certified and Trained truck drivers to utilize an Automated Weighing and Offloading System while tracking the location, time, and duration of each driver’s movements. Bakken Transload is a frac sand transloading terminal located in Ross, ND which has continuous truck traffic throughout the day. Securing access to high risk environments that require specific training in an automated manner and tracking driver movements in the event of an emergency. DBTS implemented it’s ProCertX cloud platform that integrated directly into an “off-the-shelf” weighing system that allowed for instant Certification and Training verification to initiate an automated workflow. Once the workflow was complete an Access Control mechanism controlled access to a high-risk environment ensuring only those that have completed the workflow and have the appropriate certification/training are granted access. The ProCertX system tracks location, time and duration of each driver’s movements in real-time allowing for instant access to information in the event of an emergency. The solution has reduced risk and increased security by allowing only certified and trained individuals to operate the process autonomously. 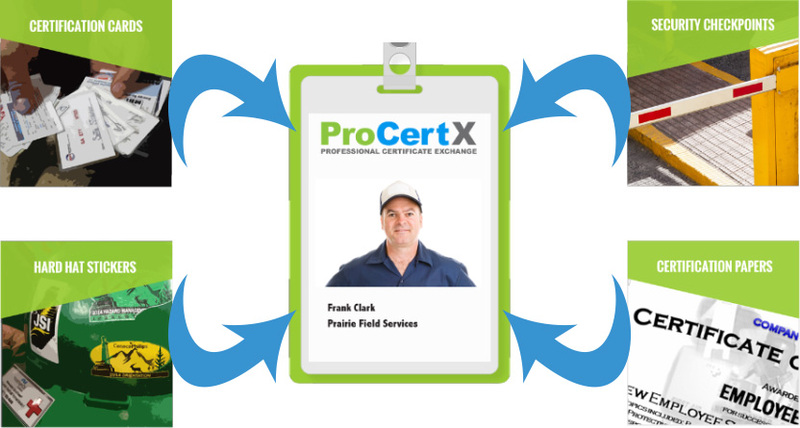 ProCertX is a dynamic, web based system that optimizes the issuance, management, tracking, and verification of training and safety certifications, while providing instant information for program participants. The client’s management team is given administrative level access to the platform tools, allowing them to enroll, manage, and track all program activity.